For years I’ve always wanted to make garden /outdoor furniture, now I have finally got round to it. I guess it’s another one of those ‘monkey off the back’ things – like getting public commissions. It turns out it was the Tudor Arcade project that was the catalyst to both. I bought 3 logs of Dorset oak for Tudor Arcade, and knew if all went well we would be left with enough timber to make some other pieces (that’s never a given using native timber!) I’d planned to design a couple of pieces using the details, finishes and principles we had developed for Tudor and even embrace some of the details I’d not been able to use. 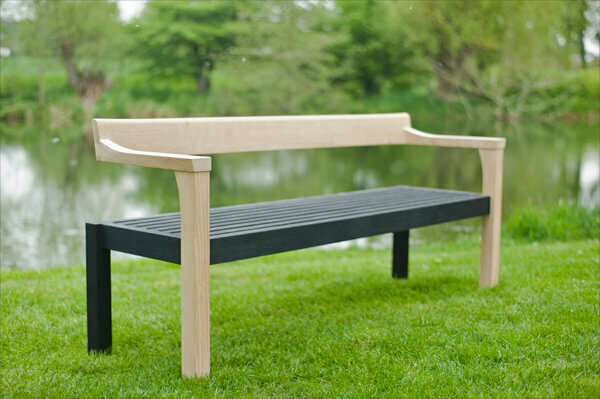 So our first two garden pieces are called the ‘Floating’ and ‘Thinking’ benches – made of scorched and natural oak with steam bent elements. ‘Thinking’ is the slightly more challenging piece visually with a seat at each end facing away from one another and open bench in the middle. I can see it on top of a hill somewhere looking out at distant views. Perhaps this is more of a public space piece, rather than something for a private garden. Although for the right kind of garden, who knows… It won’t be easily find it a new home but it may be the piece that gets broader attention. The other piece is called ‘Floating’ bench. It’s the one that will fit in a domestic garden situation. Like ‘Thinking’ is also a direct offspring of Tudor Arcade, it’s just a bit more ‘garden bench’ like and easy on the audience. Everyone is at least looking the same way! 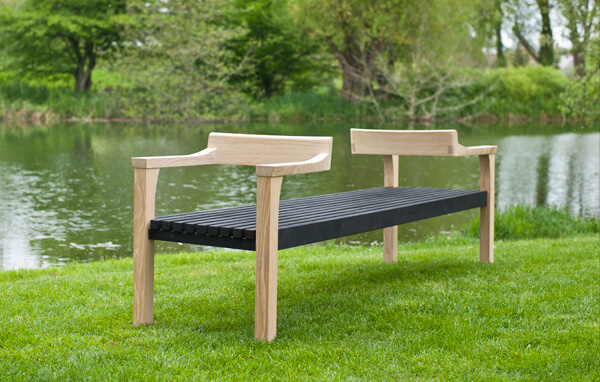 ‘Floating Bench’ has had an astonishing reaction, it’s ended up in various lifestyle and design magazines and to top it off it has been selected by world famous retailer Liberty’s of London as part of their outdoor collection, that’s quite an accolade. They clearly recognise it as a piece of iconic design! 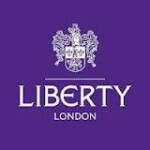 It’s in store from March 2013. 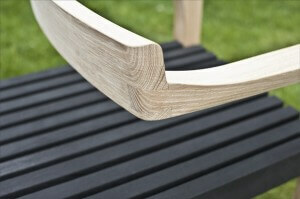 The key detail to both benches is the floating arm and back detail – hence the name. It’s a detail that the original Tudor Arcade proposals contained but we just didn’t have the confidence that in the public realm it would be robust enough. So I needed to do these benches just to get that purity of design out of my system. I love the fact they make people do a double-take. Emily who works for Watershed PR described them as ‘Esheresque’ (after the artist Esher who did those mind bending architectural drawings) which I thought was a lovely way of describing them. These shots were taken by the guys at Double Exposure Photographic on site at Sculpture by the Lakes, the gardens owned by Sculptor Simon Gudgeon. A great location to get a sense of landscape and drama. Just so happens I’m off to watch Stacey Kent play there next week as part of a 3 day Sculpture by the Lakes Jazz Weekend. Can’t wait. We already have the prototype Tudor Arcade bench on site there. I’m hoping garden designers will also see the potential in these pieces and bespoke designs related to them. The possibilities seem endless – from single chairs to curved pieces round trees to… well give me a call! 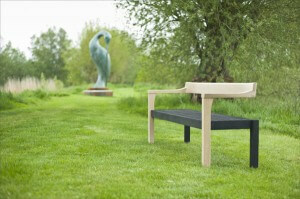 ‘Thinking’ and ‘Floating’ are both priced at £2950 including VAT in natural and scorched oak. To see the steam bending and scorching processes that go into the making of these benches watch this ‘Scorch and Steam’ video.